When MoviePass launched, the deal seemed too good to be true: for a fixed monthly fee you could see a movie in a theater every day. As it turned out, MoviePass was too good to be true. Subscribers found that out the hard way when they arrived at theaters and couldn’t watch their movies because the company temporarily ran out of money. Now it’s possible that the company may be purchased by a venture capital fund run by college students. How could such a ridiculous thing happen? When you go to a movie using a third-party movie subscription service like MoviePass, that company pays the full ticket price to the theater. Under MoviePass’s original model, the company could have been on the hook for over $500 per month for every subscriber watching movies daily—an amount far too high to absorb by signing up members who seldom use the service. Instead, the goal is to profit from market power and data mining. These movie subscription services can collect all sorts of data about movie-watching patterns that are currently closely held by theater chains. They can sell you cheap movies for the same reason a membership-based grocery store can sell you a $6 box of cereal for $3: because plenty of companies will pay for the associated data. This data could extend to what you do outside the theater. On some services, you have to turn location sharing on to check in at the show, so you’re unlikely to notice if the app also tracks where you eat dinner. Theater chains with subscription options, such as AMC Stubs A-List, are less likely to sell your data but can profit nicely off of your more frequent purchases of popcorn and keg-sized Cokes. I’m a movie buff who doesn’t go to theaters nearly as often as I’d like, so MoviePass was always attractive. But it was also ludicrous—despite being single, self-employed, and in near-complete control of my schedule, there’s no way I’d use it more than four or five times a month. On the other hand, since I’m perfectly happy watching movies at home, when I go to a theater I want 3D, IMAX, or other audiovisual features I don’t get elsewhere. MoviePass allowed only 2D standard showings, so upon learning that competitor Sinemia offered fewer movies, but with fancier formats and at an only slightly higher price, I signed up. MoviePass is infamous for its “a movie a day” model. Right now, you can sign up for a $7.99 plan for three movies per month, or a $9.99 plan for one movie per day—but on 15 August 2018, it changes to $9.99 for three movies and no unlimited option. MoviePass has the most restrictions on what you can see: no 3D, IMAX, or otherwise enhanced movies, and some theaters don’t participate in MoviePass’s program. Sinemia was the first to offer a wider range of movie formats, but only lets you see between one and three movies a month, depending on your plan. $3.99 gets you one 2D movie a month; at $14.99 (the plan I purchased), you can see three movies in nearly any format. 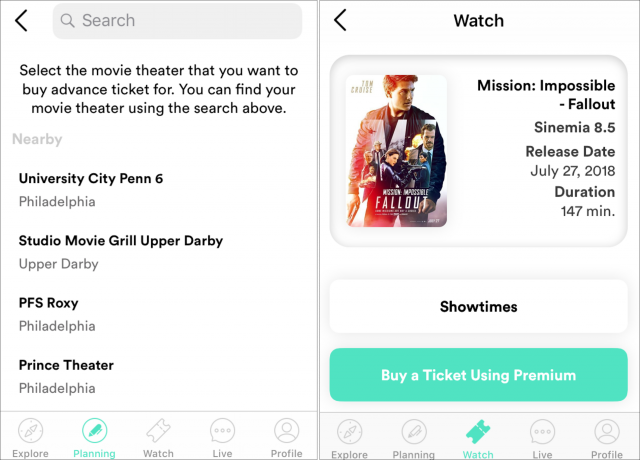 Sinemia says it supports every “major” movie theater, without defining what that means. Family plans are available for multiple people under a single account; despite other plan changes, these have been priced at a straight multiple of a single subscription during my review. AMC Stubs A-List is currently the first-class ticket compared to everyone else’s coach class: for $19.99 a month, you can see three movies per week, in any format, and it includes AMC’s Stubs Premium plan (normally $15 per year) that provides benefits like popcorn discounts and a concessions fast lane. As you may guess, it’s usable only at AMC theaters—which might be great for you, but would add a $15 ridesharing travel charge to any movie I watch. Cinemark Movie Club is the entry-level program. For $8.99 per month, you can see one 2D movie and get concessions discounts. Other formats incur an extra charge. You can also buy additional tickets for $8.99 each, but Cinemark’s support site is ambiguous about the restrictions (i.e., whether you can buy as many additional tickets for a showing as you like, or see as many movies as you like). Unlike the other plans, Cinemark credits roll over from month to month, but only if you continue subscribing. Since a rollover means you’re not using the plan at all, this somewhat locks in the people most likely to cancel. None of these plans include higher-priced “special event” movies, such as Metropolitan Opera live simulcasts or Fantom Events showings, which include concerts and classic movies not normally in theaters; most recently I’ve seen Star Trek II: The Wrath of Khan and the theatrical re-release of a 1966 Doctor Who series. Pick out a movie you want to see at a supported theater, and note the showtime you prefer. Purchase the ticket using an app, which in some cases requires going through a ticketing service outside the app. You can purchase tickets in advance—but since most people do that for first-run showings that might sell out, it’s notable that MoviePass sometimes restricts those showings. If you buy your tickets onsite before the show, you might have a plastic card that you can pay with, but you still have to activate the card in the app for that showing. Otherwise, the experience is the same as usual: you pick up a ticket at the counter, you buy your barrel of popcorn, and you go see the movie. It’s more convoluted than paying cash, but not particularly hard, right? In theory, yes. In practice, the difficulty increases. Both MoviePass and Sinemia are deeply disruptive services. 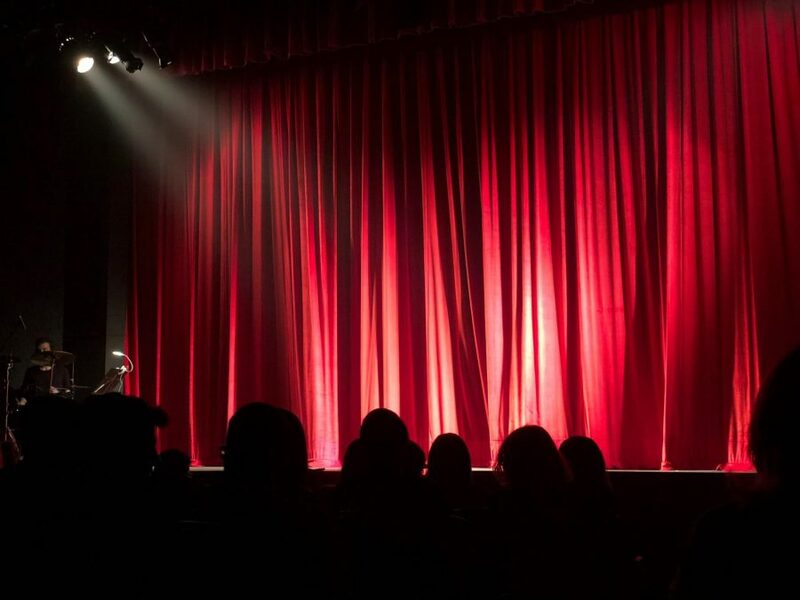 Theater owners are happy to get more people in seats and in concession lines—where they make most of their profits—but the National Association of Theater Owners has an ongoing Cold War detente with Hollywood, with both marking off strictly defined turf. Third-party services tread on the territory of both sides by deciding who pays how much, and for what. So, while both Hollywood and the theater owners are happy to sell tickets at full price, neither of them wants any subscription service to gain too much power. In other words, there’s very little incentive for anyone to play nicely with each other. This translates to annoying inconveniences for moviegoers using outside subscription services. Here’s what I experienced with Sinemia. When I signed up a few weeks ago, the only way to get the $14.99 per month price was to pay for a year in advance. A week later, I noted that the $14.99 price was available on a month-to-month basis, but you had to pay a $20 “initiation fee,” and there was no annual plan option. It’s now two weeks later, and Sinemia’s Web site offers only annual plans again. The site automatically enters a promo code with any purchase, which has changed every time, so perhaps if you have a different code than the one that’s prominently available, you can get still get the deal you want. Immediately after subscribing, I encountered my first unexpected charge. (I had read the marketing material, but not all the fine print.) I wanted to see a movie immediately with my new subscription—in fact, I had to see 3 movies in 31 days or lose them, and the welcome email I received said the clock was already ticking. The company initially said it could take a few weeks to receive my plastic payment card—it’s now saying “up to two months due to high demand.” Unmentioned was the fact that “processing” my account for online purchases would also take a week or two, but I could “expedite” it for a $10 charge. Wait for the Sinemia account to be “processed,” pay $12 cash to the theater for a ticket to see for a movie the same day, and maybe have to see three more movies on my plan in the remaining weeks left in the month. Pay the $10 surcharge and start using the plan. I paid. Part of me admires the Machiavellian genius of this upcharge—who buys a plan and doesn’t intend to use it immediately?—but only a small part. Paying up activated my Sinemia app for ticket purchases immediately, so I went looking for a movie. 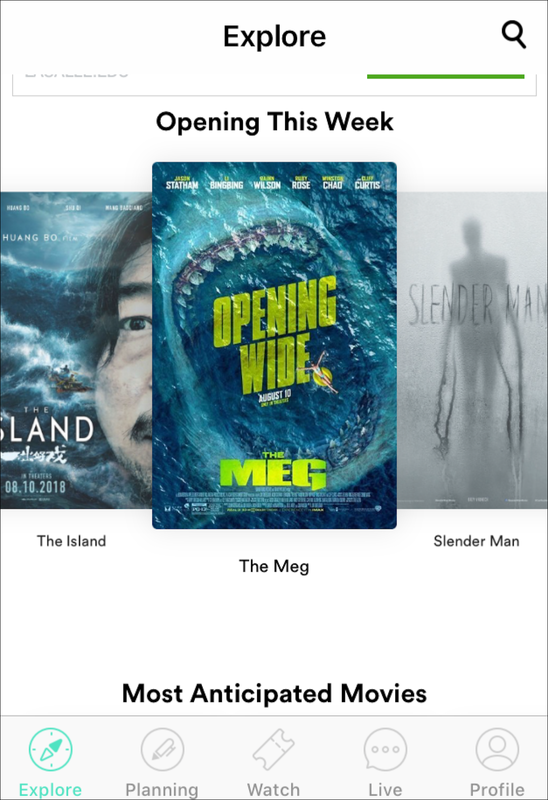 The app shows the standard view of movie posters that you can tap to get to previews and capsule descriptions, but if you want to watch previews on your iPad and buy tickets on your iPhone, you’re out of luck: you can only switch devices three times before the app is permanently locked to a device. This is obviously to deter account sharing, but it’s highly annoying. I prefer to pick out my films using a combination of Apple Trailers and Rotten Tomatoes before I open the Sinemia app, which makes that section of that app useless. Here’s where things get confusing. If you want to use your plan to get a ticket in advance before you arrive at the theater, you need to order it from the Planning screen. But if you’re near the theater, you need to get it from the Watch screen. Start in the wrong place, and you’ll go through all the steps of choosing a ticket, only to be told at the end that you have to start over on the other screen. So you switch to that site and start the process of buying the ticket and picking out the theater and showtime. (In some cases, this requires more than one site. I prefer closed-captioned movies, and closed-captioning support is not always indicated on Fandango.) Then you switch back to the Sinemia app to tell it which theater you’re going to, presented in a list ordered by distance from your location. For some reason, you then have to manually enter the date and time of the show, which you’d think could also be selected from a list once the app knows which theater you’ve chosen. When it comes time to make payment on the external site, the Sinemia app provides you with a one-time debit card number to use. (This never covers “convenience” fees; those are passed along to the same payment method you used to purchase your Sinemia subscription.) A mind-boggling annoyance occurs when it’s time to enter the debit card number on the ticketing site. The number is presented in a nice big font that you can’t copy and paste! You have to switch back and forth as many times as it takes to type in a random 16-digit number, plus the expiration date and ZIP code. This problem will go away for onsite purchases after I receive my plastic payment card, but even then it won’t help for advance ticketing. You have your ticket, but you’re not done yet. When you get to the theater, you have to check in with the Sinemia app to prove you’re there. The app is supposed to give you a notification to this effect, but I never received one. And it’s supposed to check you in automatically when you buy a ticket at the theater, which also didn’t happen. Instead, I received a notification during the movie when my phone was silenced, and when I contacted customer support about a different matter, I received a brusque email asking me why I failed to check in. This email threatens that I must check in “in order to continue enjoying my subscription,” which is a harsh message to receive from customer support. The different matter I had to ask about was that the first advance ticket I purchased through Fandango vanished—my only record of it was my bank charge for the convenience fee. That could have been Sinemia or Fandango’s fault. Sinemia offers no in-app live help, despite a useless button that says Live Help. Instead, you send email to Sinemia support, and in my experience, you get a reply several days later. Happily, it had all ended well before then. When I re-purchased that ticket via Fandango with Sinemia while standing at the counter, it appeared in the theater’s ticketing system instantly, and I got to see the movie. Only one ticket was counted against my monthly total. Buy your tickets at the theater instead of in advance. Always sign into an account you set up with the ticketing site, like Fandango, so there’s a record of your purchase you can reference. If you purchase without signing in, you’re supposed to get an email with a confirmation number, but I didn’t notice that I hadn’t received one. Once I get my plastic payment card, I probably won’t purchase in advance again unless I’m worried about a sold-out show. That assumes the card doesn’t come with its own difficulties. This all sounds unnecessarily complicated, and it is. But I’m happier with my purchase than I sound. For $190, I’ve bought myself a year’s worth of entertainment and head-gamed myself such that I’ll likely get my money’s worth. I would have taken the monthly option if I’d had one—but that’s less of a gift to my future self. However, there’s one major downside of prepaying: if Sinemia goes out of business soon, I’ve watched some very expensive films. The ongoing game theory of my Sinemia subscription is weird. I saw two movies in the first week, and now have one left for the rest of the month. But the second movie was on my theater’s half-price day, which is only $1 more than the $5 I’ve already paid. Do I “save” a movie and risk it expiring? Or use the movies I’ve paid for and pay extra later for any additional ones—maybe also schedule those for the half-price days? I’m glad to commit myself to some entertainment to save some money, but using Sinemia requires a lot more planning than I prefer for my free time. For casual moviegoers, I’m giving Sinemia a cautious recommendation if you don’t think you’ll mind jumping through the hoops I’ve described. If I see three top-price showings per month in my area, I’ll get over $50 worth of movies for $15, and I’ll be getting theater features I can’t get at home. But I live in a major metro area. If you don’t, and your local theaters are either cheaper or not on the Sinemia service—which you can look up on the company’s Web site before purchase—it’s not worth the effort. I’m concerned but not worried about Sinemia ceasing to exist before my annual plan expires. A review of the business press about the company indicates it’s well-funded, and its business model has never been as insane as the ones at MoviePass. If you have a good AMC theater nearby, AMC Stubs A-List is almost a no-brainer upgrade. You get up to a dozen movies if you can go three times each week, and the extra $5 per month is negligible compared to the overall cost of going out for the evening. (I am given to understand that babysitters now charge more than I was paid in 1986.) Since AMC comes with concession discounts, they can make it an even better deal if you so indulge. As for MoviePass: under other circumstances—such as being unemployed and having no friends—I’d be tempted to take advantage of the window that closes on August 15th, buy a one-month subscription, and binge-watch 30 movies. But on MoviePass’s new plan—assuming the company doesn’t switch it back to unlimited again—Sinemia is currently superior in every way. The only reason I’d recommend MoviePass over Sinemia is if your local cineplex accepts MoviePass but not Sinemia. Even then, the MoviePass support site is extremely vague about future blackouts for newly released films, whether premium movie formats will be supported, or if there are even more random restrictions buried in the fine print. 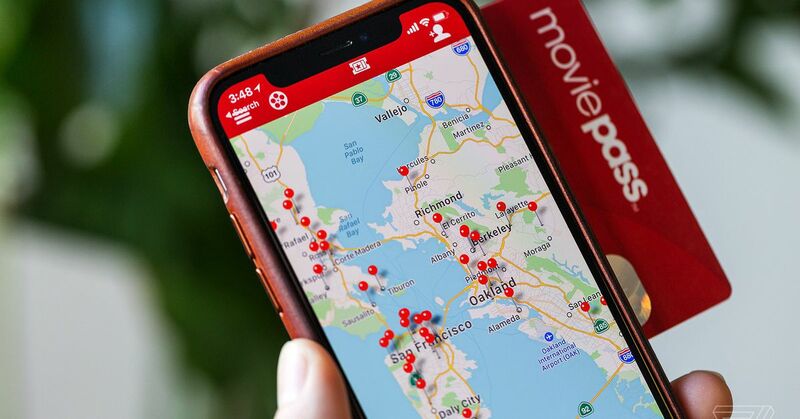 There was once a time when MoviePass was a great deal—and people who bought annual subscriptions less than a year ago can keep it for a bit longer—but that ship has sailed. Considering how often plans from all these services have changed recently, you should check out each one before you make a purchase decision. That said, while I’m comfortable going with an annual lock-in with Sinemia, I wouldn’t recommend doing so for MoviePass until it establishes a track record of better reliability. I suspect that the plans run by the chains will be more stable, but I also believe that they would shut down the minute they didn’t need to compete with third-party services anymore, should that come to pass. A year or two ago, Cinemark opened a brand-new multiplex a few miles from my home. All the auditoriums have reclining seats, all seating is reserved, etc. It’s a certainty that I’ll see at least one film a month at that theater, usually with a guest or two, so the Cinemark movie club made sense. For $8.99 a month I get one free ticket and one discounted guest ticket. My teens and I prefer to see movies in the morning, so the free/discounted tickets we get are generally for shows that wouldn’t cost much more than $9 or $10 anyway. I steadfastly refuse to busy my brain with trying to game the system by reserving my discounts on the chance I might want to see higher-priced shows. I believe (I don’t pay all that much attention) that other tickets I buy during the month also get a small discount. There’s also a 20% discount on concessions, which shouldn’t amount to much: but even for 2-3 small popcorns 2-3x/month it adds up (perhaps more a comment on high concession prices). To claim the concession discount, I need only scan a QR code on my phone. It could be painless, but the scanners are annoyingly finicky. Next time, I’m going to try a smaller image of the code and see if it scans more reliably. The ticket purchase process is exactly the same as if I were buying the tix on the Cinemark site, which I always did anyway, so there’s zero added hassle buying the tickets. One easily overlooked benefit, however, is that there is no longer a “convenience fee” (my nominee for euphemism-of-the-decade) for buying the tickets on line. Since I typically buy 6-10 tickets per month, and I believe the for-our-convenience fee is $1.75 per ticket, that actually results in a substantial fraction of my total savings under the program. It’s cheap, convenient, I don’t have to change my behavior at all to use it, and it ends up saving me a small but significant amount of money. I signed up for MoviePass at just the right time in April this year. They were offering one-a-day unlimited movies for $90 a year when I signed up. No 3D or Imax, but that’s OK with me. I’m pretty close to AMC 20 and Regal 18 multiplexes, and a smaller independent 4-screen theater that all accept MoviePass. MoviePass recently imposed limits on high-demand movies, such as popular new releases (you can see them later, just not on opening weekend.) Since April, I’m sure I’ve seen enough movies (3-4 per month) to cover my $90 initial investment. If they can stay in business until next April, I’ll be happy. So, I’m going to try to milk MoviePass for as long as it lasts. When my plan expires or MP goes belly up, whichever comes first, I’ll probably consider AMC’s offering… MoviePass did succeed in getting me back into theaters, and I’m enjoying that! I suspect this will also tick off movie theater owners who depend on on-screen advertising. It’s a very desperate move, I think. I’m hoping Sinemia will be a similarly easy experience after the card arrives. Now that I’ve figured out what’s where, it’s much easier. And I really do prefer to see 3D etc., so MoviePass would have always felt like second-class service to me. Had one more wrinkle yesterday: went to a 3D show where the closed-caption device was broken and I missed most of the dialog. (Not that it really mattered, it was all about the spectacle.) Came out and asked for a pass to see it again, and they wanted to give me a refund, which would have done me no good. I got the pass, but it took a bit of arguing. I wonder if MoviePass is refinancing some of their own mountainous debt from this company? Maybe Laurel Road knocks off $10 a month for them? In an email to former annual members, the company says it’s cutting back their service options to "capture the needs of the community." A $1.80 fee is imposed for every film reserved through the app. That effectively adds $65 to the cost of my annual plan, around 33%. The card that was supposed to arrive never did, and now I can “order” one for an undisclosed fee. As I mentioned in the story, I did not receive a notification as expected prior to the movie to check in. I’ve since missed two more: once when the app failed to provide a button, and once when my phone had no service. Both times I emailed them immediately after. When I went to reserve a ticket tonight, I found that my account is disabled until I pay $19.02 for missing a check-in. That tears it. Add that I missed a month of movies when I was sick (a cough I couldn’t bring into a theater), and will miss two more if I don’t hear back from support quickly, and I intend to cancel for the remaining months’ refund if they don’t waive the $19. It’s the last straw.